While most hearing experts would say an eardrum is required for long distance hearing, a new study from Binghamton University and Cornell University has found that Aedes aegypti mosquitos can use their antennae to detect sounds that are at least 10 meters away. Mosquitoes have been known to use a variety of senses to detect the presence of potential mates and food sources. They can see, smell and most importantly hear what is around them. However, it was previously believed that their hearing capabilities would be limited. While a vast number of animals hear by detecting tiny sound-induced air motion using fine hairs on their bodies, it has been generally believed that these types of creates can hear only sounds that originate at distances up to a few inches away. Ron Miles, distinguished professor of mechanical engineering at Binghamton University, worked with professors Ron Hoy and Laura Harrington from Cornell University, who had found that mosquitoes' nerves were sensitive to sounds at long distances. "We put the mosquitoes into my lab, which is an anechoic chamber," said Miles. "It's designed to absorb sound so that when you're conducting a study, there's no background noise or sound reflections interfering with your results." With the mosquitoes in the anechoic chamber, the team was able to test their response to various sounds. "We were able to observe the behavior of male mosquitoes to recorded sounds of either male or female mosquitoes," said Miles. "When the sounds from male mosquitoes were played, the males mostly just sat there. But, when we played the sounds of females, the males took off flying. We were also able to measure the neural response of their antennae and found they can hear sounds from surprisingly far away in the same frequencies that are important for human speech." The study was not focused on whether that hearing capability was a driving factor in where mosquitoes find their human hosts, but it has been known that hearing is important for mosquitoes to find mates. 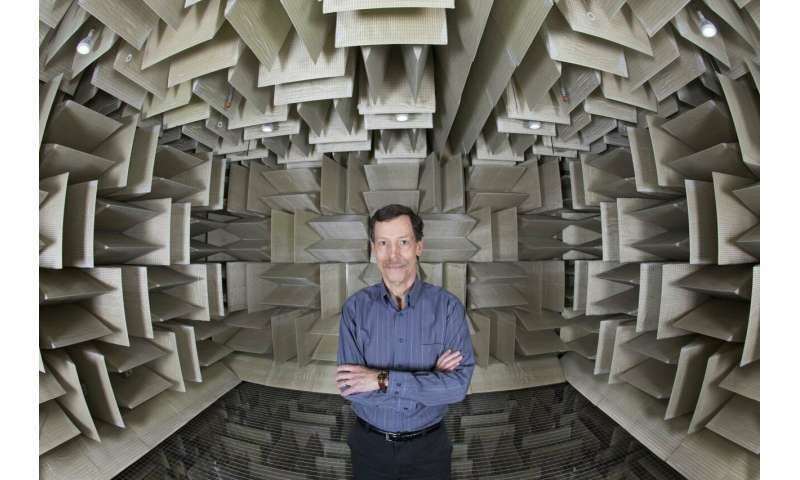 For Miles, this study is another step towards building more powerful, directional microphones. He has looked at the hearing of mosquitos previously for inspiration and has even found ways to incorporate spider silk to perfect microphones. The study, "The Long and Short of Hearing in the Mosquito Aedes aegypti," was published in Current Biology. So mosquito traps can be made with speakers in them playing the sounds of mating females? "Oh boys! Here i am, come and get me!"